Past guest contributor Aja Martinez has an article in an interesting special issue of Across the Disciplines: A Journal of Language, Learning, and Academic Writing. 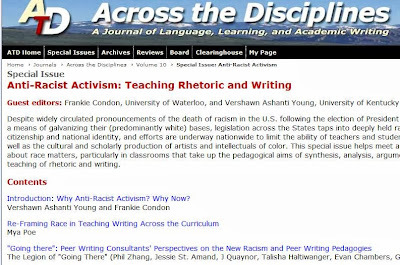 Her article "Critical Race Theory Counterstory as Allegory: A Rhetorical Trope to Raise Awareness About Arizona's Ban on Ethnic Studies" is informed by the Critical Race Theory methodology of allegory, which Martinez uses to create a composite story that addresses rhetoric around the recent Arizona legislature. 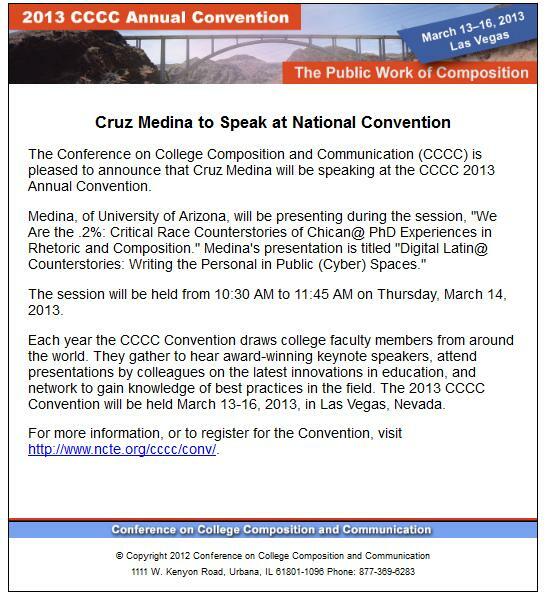 "Following Plato's method of devising a setting reflective of contemporary social issues and depicting characters that can be easily associated with real public figures, Arizona's anti-immigrant/Mexican/ethnic studies climate provides dramatic context in which to stage an allegory about immortality. In the allegory, immortality represents the privilege to extended life and in essence existence verses lack of access (for the non-privileged) to immortality and thus imminent erasure/extinction of an entire culture, people, and way of being." Despite widely circulated pronouncements of the death of racism in the U.S. following the election of President Barack Obama, politicians continue to appeal to race as a means of galvanizing their (predominantly white) bases, legislation across the States taps into deeply held racist beliefs and connects those beliefs with notions of citizenship and national identity, and efforts are underway nationwide to limit the ability of teachers and students to study the history of race and racism in the U.S. as well as the cultural and scholarly production of artists and intellectuals of color. 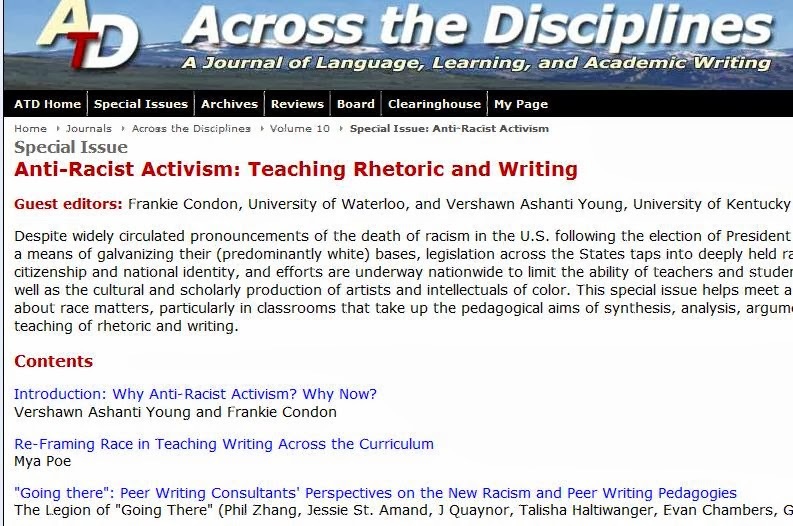 This special issue helps meet a pressing need to continue and deepen a critical dialogue about race matters, particularly in classrooms that take up the pedagogical aims of synthesis, analysis, argumentation, persuasion and presentation, in short, the teaching of rhetoric and writing.